Jim Lehrer Stepping Away From Anchor Role On 'PBS NewsHour' : The Two-Way "I have been laboring in the glories of daily journalism for 52 years," he says, "36 of them here at the NewsHour and its earlier incarnations ... and there comes a time to step aside from the daily process, and that time has arrived." Jim Lehrer, when he moderated the the first 2008 presidential debate, at the University of Mississippi. 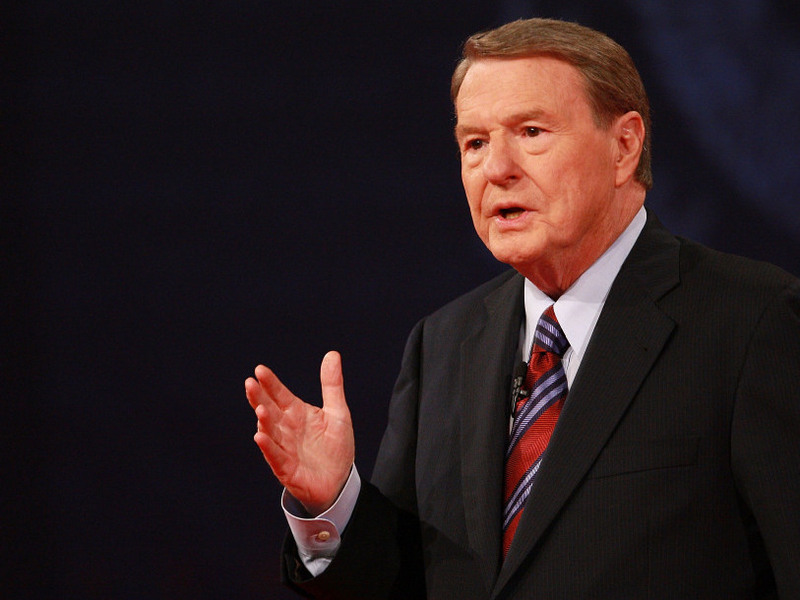 After 36 years anchoring the PBS NewsHour in its various forms, Jim Lehrer is stepping aside. But he won't be leaving completely. According to a statement released by the show, "effective June 6 he will no longer be part of the regular daily anchor rotation team, but he will still appear on many Friday evenings to moderate the weekly analysis of ... syndicated columnist Mark Shields and New York Times columnist David Brooks. Lehrer said he will also remain involved in the editorial direction of the PBS NEWSHOUR and the program's producer, MacNeil/Lehrer Productions." In that statement, Lehrer, 76, says that "I have been laboring in the glories of daily journalism for 52 years ... 36 of them here at the NewsHour and its earlier incarnations ... and there comes a time to step aside from the daily process, and that time has arrived."